Her new Things Have Changed strips Dylan to the studs and builds him back up. Soul survivor Bettye LaVette visited the Paste Studio in New York this week to perform music from her new release, Things Have Changed, a collection of Bob Dylan songs that is the furthest thing one could imagine from a conventional “covers album.” Stripping these 12 songs of their original structures and sometimes even their words and meanings, then rebuilding them from the ground up with contributions from guitarist Keith Richards, bassist Pino Palladino and producer Steve Jordan, LaVette makes them unmistakably her own. Some, like “The Times They Are A-Changin’” and “It Ain’t Me Babe” are musically unrecognizable. Others, like “Mama, You Been on My Mind,” are detached from their original lyrical contexts and filtered through her own experience. 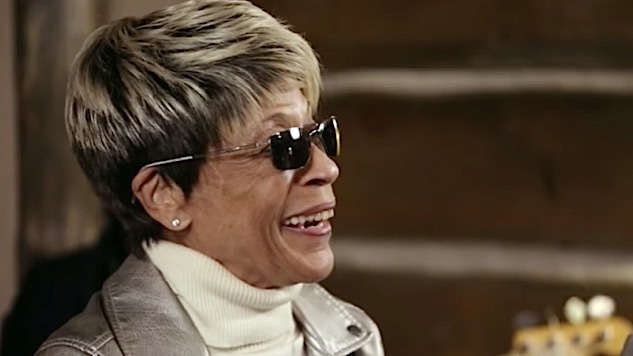 Read our recent profile of Bettye LaVette, and watch her full Paste Session below.